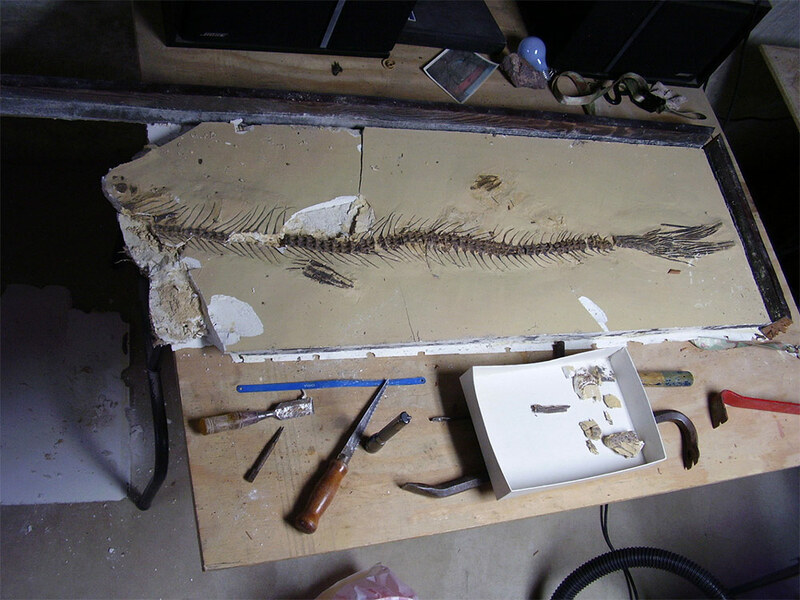 Reconstruction of a severely damaged fossil! 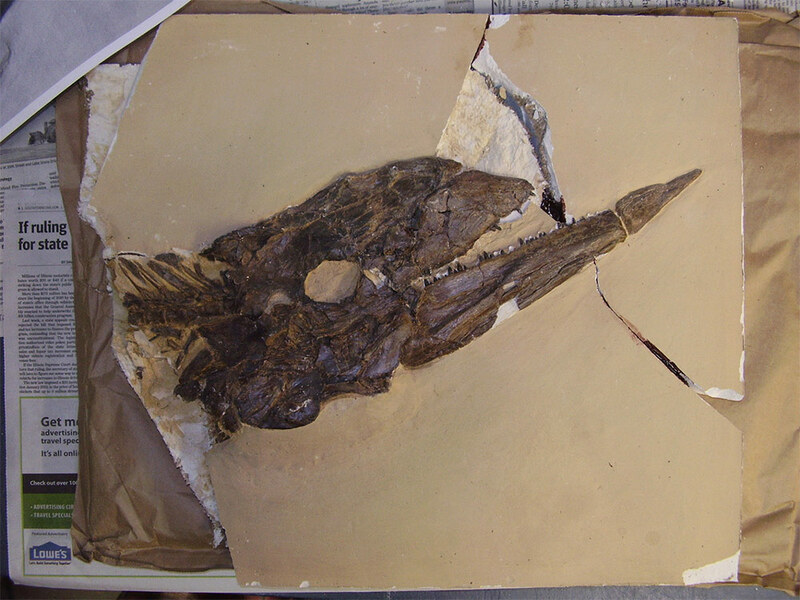 This four foot long fossil fish specimen was damaged while in shipment transit. This once beautiful specimen came out of the shipment container looking like a basket case and the owner was looking at the loss of purchase money. 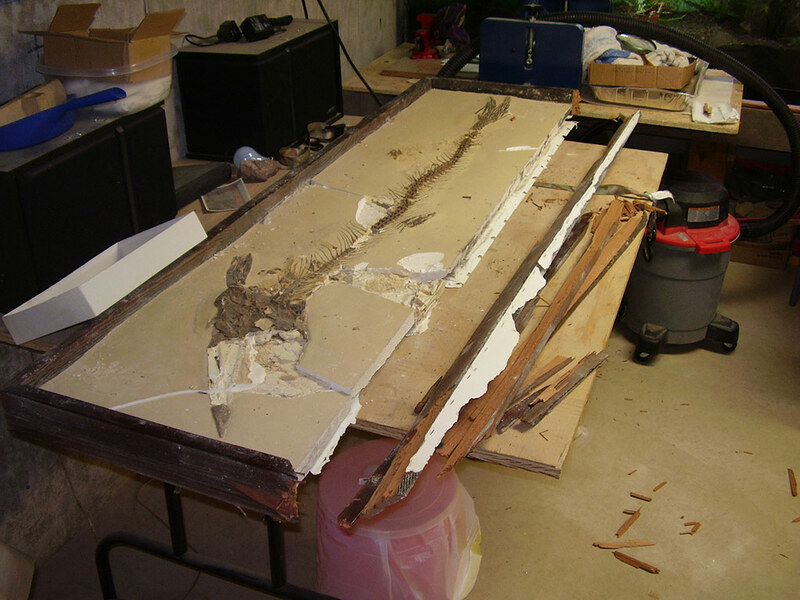 Robert was able to save it and bring it back to its original condition!